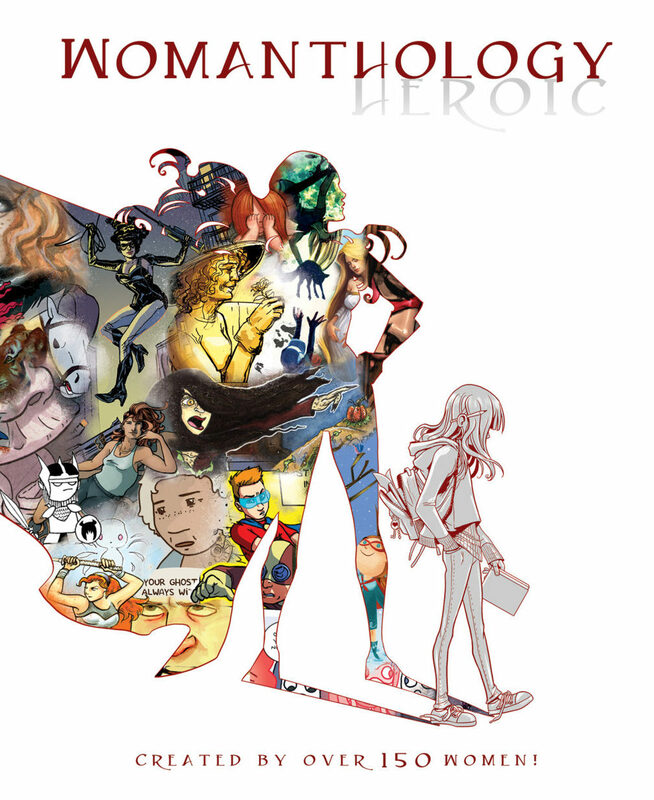 Womanthology: Heroic provides 300 pages filled with short comics all written & drawn by women. Thematically, the focus is on the heroism and strength. It also includes some instruction and advice on creating comics and making it within the industry. There was quite a range of skill levels & I liked that not all of it was super-chique or professional. While not all the art or stories appealed to my own aesthetics, I was drawn in by the variety of stories featuring strength of all different types. (Personal, professional, emotional, family…) There were quite a few stories that made me shed a few tears. I totally recommend this to anyone who needs a power boost in re: inspiration, art, or the power of collaboration. Neat! I wonder if this is at the TPL? It definitely is (I just returned my copy) 🙂 Very new-book-smell.